3D is not a buzzword but a real happened. 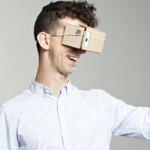 Maybe it is not everyone that can afford a Samsung Gear VR or Oculus Rift DK2 (see the comparison), it is not mean that you have to go to cinema when you want to enjoy a immersive 3D movies. You even don’t need to update your old HD TV to a new 3D TV(buying guide) just for your occasional 3D desire. 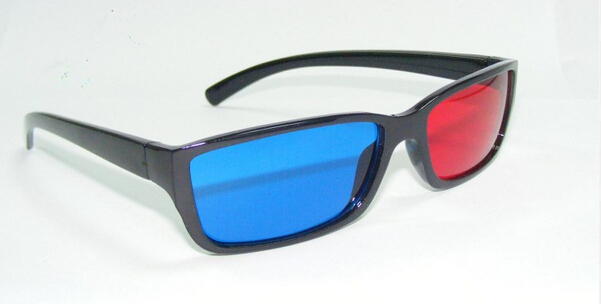 With you normal display such as PC/Laptop and a pair of cheap anaglyph 3D glasses, you still can watch 3D movies at home. The thing you’ll need at first is an anaglyph 3D glass. 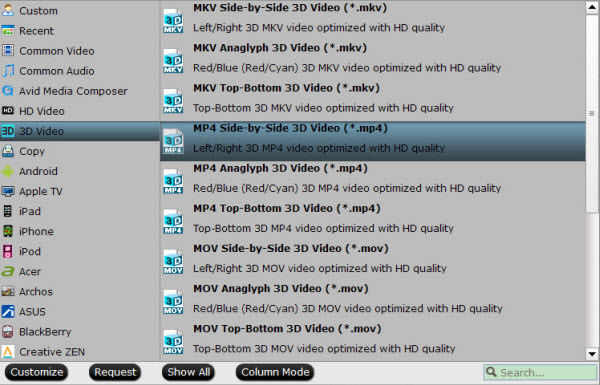 I prefer Red/Cyan one as I am doing this tut for helping you out to watch HSBS (Half Side-by-side) 3D movies. You may have one at your home if you ever bought any Blu-ray or DVD 3D movies but if you don’t have one, buy one cause they are much cheap. Here is an option from eBay or you can guy one from Amazon. You may even make your own glasses, if you feel a little crafty: WikiHow + Video. So you need a 3D media player. You can choose anyone from PowerDVD 12, Stereoscopic Player and KMPlayer. Take KMPlayer as the instance, in order to see the movie in Anaglyph, you should open the file in KMPlayer and press 3D button. There are many 3D streaming sites that can provide you nice 3D movies, like YouTube, YIFY. You can download HSBS 3D MP4 (recommended format) from them to play on your PC/Laptop. Tip: there are some situations you can’t avoid that your 3D movies downloaded are Blu-ray FHD3D movies or 3D AVI/MKV, etc, which are not accepted by your 3D media players for the codec and format incompatibility. In this case, you can use a third party video converter – Pavtube Video Converter Ultimate. This is a close-source software more power to the open-source Handbrake. It not only can work in nearly all 2D/3D video format you have even seen, but also can deal with encrypted and region-locked 2D/3D Blu-ray/DVD and transcode them to 3D MP4/MKV/AVI/MOV/WMV and normal 2D M3U8, H.265, MP4, MKV, FLV, M4V, etc. 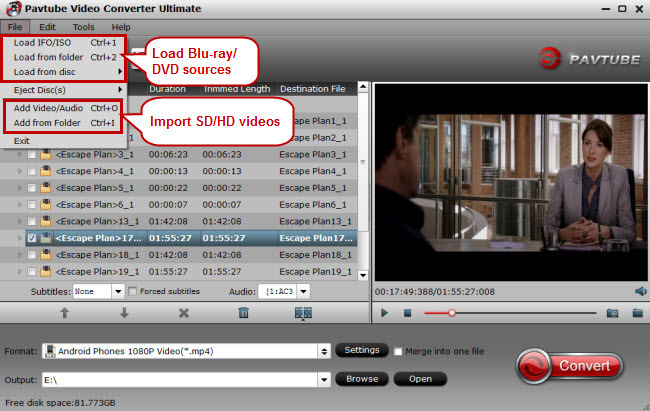 Tutorial: How to convert 3D movies with Video Converter Ultimate? For 3D Blu-ray users, click “Load from disc” to insert your Blu-ray movies to the software while you can simply drag and drop the 3D movies on computer hard drive to the app. 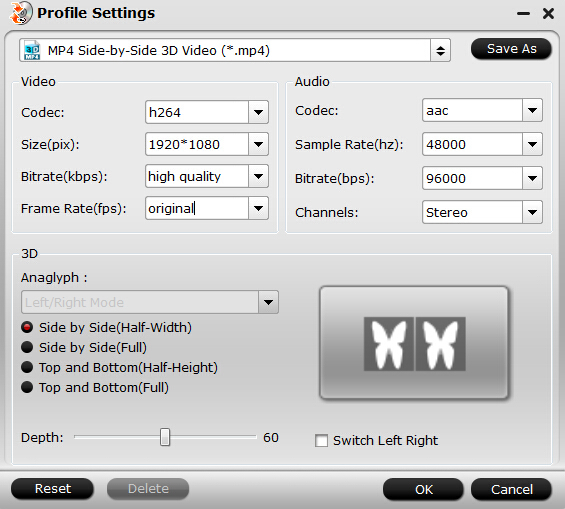 For outputting 3D SBS MP4 for playing, you can choose “MP4 Side-by-Side 3D Video(*.mp4) ” under “3D Video” category. Then turn to “Browse”to decide the output folder. Tip: Press on “Settings”. In the window, you can see “Size” choice, here, you can change the Full SBS to Half SBS by import 1920x1080p.Or you can choose the target in the below diagram. Simply click “Convert” on the interface to finish the any 3D video to 3D MP4 conversion process. You can locate the generated 3D content in output folder. Can You Watch 3D Blu-ray on Oculus Rift CV1?